Kitney is a forward thinking consultancy with a focus on supporting organisation’s to create safer, healthier, more capable and productive workplaces that contribute to business success. Based in Brisbane we provide one-off and ongoing health, safety, quality and environmental management services. Our clients include start ups, small, medium and large organisations across industry. We work with directors, executives, managers, supervisors and workers as well as advisors, lawyers and others with responsibilities for health, safety, quality and environmental management. Compliance and Beyond. Our services combine compliance to legislation, codes of practice, Australian and international standards (ISO’s) with a focus on enabling business practices. Our services provide solutions now, with an eye on the future. Productivity and Practice. We strive to find the right ‘fit’ for our services and systems. Our services enable good practice, integrated processes and maximise productivity, with a clear view on return for the business investment. People and Capability. We know that capability is essential for business success and good management combines ‘what needs to be done’ with ‘how it will be done’. We support organisations to understand and establish its people and business capability. Speed and Ease. 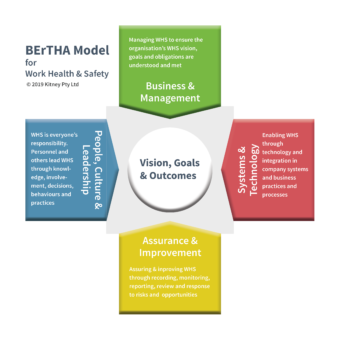 Health, safety, quality and environmental management can be complex and the journey not always straightforward or smooth. Years of experience have fine tuned our approach to ensure smooth delivery of services with smart business decisions. Kitney Toolkit. Our comprehensive library of health, safety, quality and environmental management documents are an invaluable resource. Used widely in our services, our library contains manuals, management systems, policies, procedures, plans, registers, training, work instructions, forms and templates. Our website details our services, team and expertise. For more information and a free no-obligation discussion, call and speak with our friendly staff on 07 3014 1233.